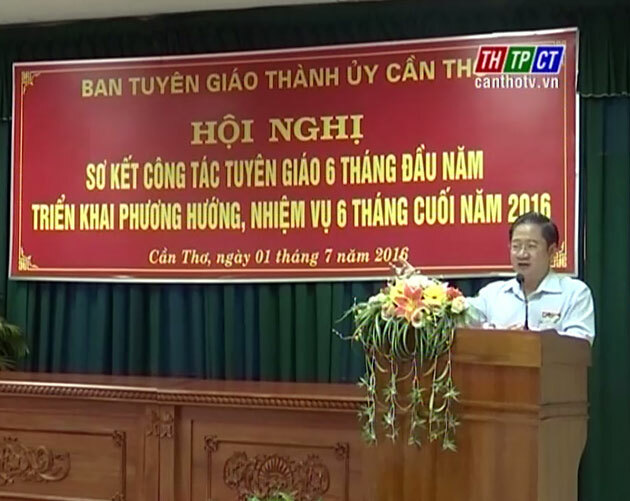 The Publicity-Education Board under Cần Thơ city party committee has also reviewed tasks in the first 6 months and map out tasks for the last 6 months of 2016. The remarkable point in the publicity-education task in the last 6 months was the timely dissemination of great political events, mainly results of the 12th national party congress and the election of the 13th National Assembly and People’s councils at all levels. 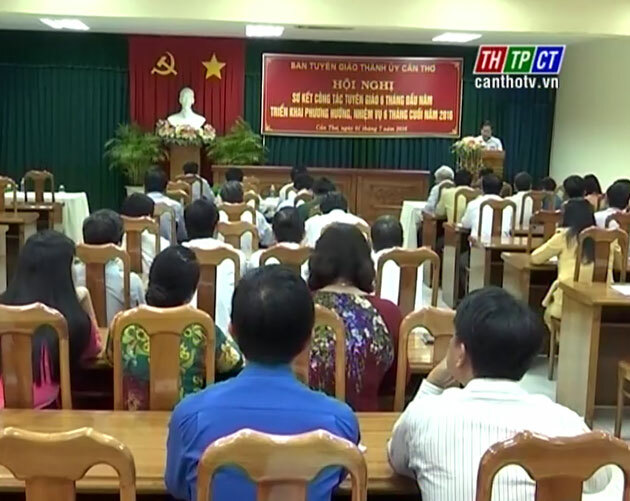 Permanent member- head of the publicity-education board under the city party committee Trần Việt Trường suggested subordinating offices of the publicity-education system focus on publicizing about the 10-year achievements in implementing the politburo resolution on building and developing Cần Thơ City in the period of intensifying industrialization, modernization, implementing resolution of the 12th national party congress, the 13th congress of Cần Thơ city party committee, the politburo instruction no.05 on studying and following Hồ Chí Minh’s moral examples, raising quality of political training for party members in the city.